#Ukraine has saved a total of more than UAH 50 #billion through the #electric #procurement #system #ProZorro. On 1 August 2016, the system became binding in Ukraine for public procurements exceeding certain thresholds. #Public #procurement #reform is one of the most successful in combating #corruption in the country. The establishment of ProZorro under the supervision of Max Nefiodov, the first Deputy Minister of Economic Development and Trade, is an important step to reforming the system of public procurements. On 1 August 2016, the procurement platform ProZorro became binding in Ukraine for public procurements of goods and services above the threshold of UAH 200,000 and public procurements for carrying out works above the threshold of UAH 1.5 million. 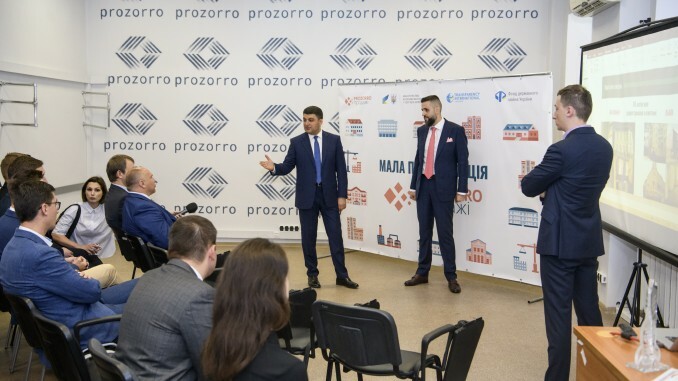 Using the ProZorro online procurement platform system has saved Ukrainian taxpayers more than UAH 52 billion in the last two years, the first Deputy Minister of Economic Development and Trade Max Nefiodov announced on his Facebook page. In addition, he also summarized other achievements related the public procurement reform. In particular, ProZorro has processed more than 2 million contracts in the last two years. For example, the Kyiv City Council saved the state over UAH 3.69 billion on tenders, with a total value of all contracts amounting to UAH 105 billion. The City Council of Mariupol, however, managed to save in the first two years UAH 394 million. The money saved was invested in vehicle procurement, repair of roads and schools. Ukrainian ministries have also benefited from ProZorro. Thus, the Ministry of Infrastructure has saved UAH 9.15 billion through the online program for state tenders. The bigger part – UAH 4.5 billion – is attributable to road works. Ukrposhta – the state-owned postal company – spent in two years by UAH 513.8 million less than it was initially planned. In 2018, the average savings per contract increased to 14.5%. On average, 2.87 bidders compete per Ukrposhta contract, while the average total number of bidders per contract on ProZorro is 2.34. Another state-owned giant Naftogaz completed 22,299 tenders in two years on ProZorro and saved UAH 15 billion. The biggest precedent was a reduction of the contract price by UAH 418 million. In addition, the Ukrainian state-owned company Energoatom minimized expenditures by UAH 679 million. The Ukrainian Ministry of Economic Development and Trade estimates the savings through ProZorro at over UAH 55.3 billion. The platform bi.prozorro, on the other hand, reported that the savings amount to UAH 55.68 billion. One year ago, the number of contracts made through ProZorro was 338,900, which saved the state budget UAH 17 billion.